Help To Establish Value Of Two Road Bikes Needed!!! 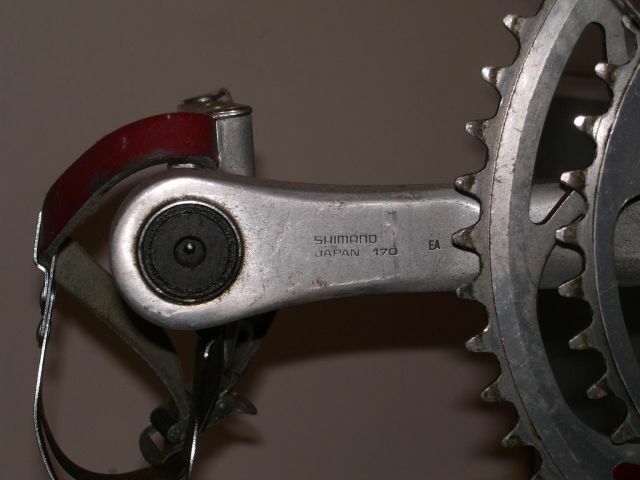 Another Crank picture - realised you are wanting to see the pedal spindle after reading the message again! Spokes wrote: Oh, love those brake shoes. Yup those are the big spindle model. Hopefully a little gold mine you have there. Might I suggest selling on E-bay? You may get better money for it. I buy and sell some old gear (not road stuff) and you get better prices in the US and the exchange rate is good for it to. And going by the date code on the cranks, the bikes a 1980 model. Thanks Spokes - that is great news! Not sure how to go about shipping something like this overseas but will have to look into it! If you are in Auck, We would be happy to pack it up for you. Thanks for the info guys - I think the best thing is to post it on trademe with a reserve of $800 and see if we can't keep it here in NZ - overseas shipping is a hassle I am not sure we need to go through. I am thinking if we trademe it with the relevant details, it might go to a good home here in NZ. Once again, thanks heaps for all the help, I sent a link to this forum to Stephen's wife and she was most impressed with the information you guys provided. Spokes wrote: And going by the date code on the cranks, the bikes a 1980 model. Is the 'EA' the date code? Those pads are "Kool Pads", I think. EA looks to be the date code to me. You can buy those pads in the US. They are Cool Stops. They started out as a BMX thing, and a company called Skyway that rebrand them for there Tuff wheels. Its an intresting old bike for sure. 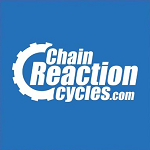 Re: Help To Establish Value Of Two Road Bikes Needed!!! There have been a couple of changes made as per the info there to return it to the original state that it was purchased in.